Poured to a Mikkeller taster glass. A: Body is pitch black and the head is dark brown that vanishes very quickly. Still, looks delicious. S: Aroma is huge of chocolate, coffee and vanilla, the later being the one that's least present in the aroma. But it has so much coffee and "chocolate" flavoured malts that it also resembles the Beer Geek Breakfast line from Mikkeller. T: The taste is strong of chocolate and coffee, and real coffee for that matter. The marshmallow profile isn't easily found as it is very very subtle, almost like the vanilla that's overshadowed by the chocolate and coffee points. M: Body is medium to high. Carbonation is good. You can feel the sugar that was put inside this beer. Sweetness is medium high and alcohol is noticeable but still not noticeable like 11% ABV, which is very well covered up. O: Always wanted to try this out. After dozens of Omnipollo's beers, this doesn't come out like it's something new or noteworthy but it's still a good and enjoyable brew (specially if you share half of it with someone else). A very dark brown colour with a small tanned head. You get a lot of coffee, a bit of liquorice backed with a touch of sweetness from the marshmallows. The beer really grows in your mouth. You get the coffee, but this time it comes with a plethora of sweetness. You really feel the marshmallows in the beer. It's heavy and almost makes you somnolent despite of the coffee. This might be the best bottle ever. Look at that. Anyway, it's quite enjoyable drinking it too. After pouring a pitch black motor oil, it smells of vanilla, coffee, chocolate. The taste gets better and better as it warms up. Cacao powder, vanilla. Big complexity. Earthy hops. A: Pours dark dark brown nearly black with a frothy dark khaki head that settles to a thin layer, but leaves some nice lacing. S: Roasted malt, bittersweet chocolate, marshmallow, dark sugar, molasses, toffee, and some earthy notes. T: Roasted malt, bittersweet chocolate, earthy tones, dark sugar, molasses, toffee, and a little marshmallow. M: Full body, moderate carbonation, slightly creamy feel as it goes down. 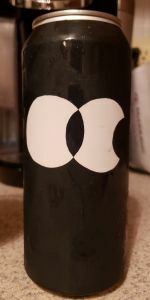 O: Another cool stout from the mad scientists at Omnipollo. I wish the marshmallow stood out a little more, but it's still a fine stout. Pours pitch black with small tan head. Aroma has coffee, cocoa, vanilla, chocolate cake, burnt caramel. Taste is coffee, chocolate, vanilla, cake, fudge, thick mouth feel. Tan head with lots of lace. Black in color. Typical omnipollo sweetness. Another dessert beer. Fudgy and Hershey's syrup. Marshmallow and vanilla show. Coffee brings some roast to the beer. Fairly rich. Some caramel and toffee. Full bodied. Sweet and creamy. A nice treat. One glass is enough. Poured from 0.33 l bottle into pint. S: Cocoa beans, dark chocolate. T: Dark chocolate, butter, spicy, vanilla. O: Once again masterpiece from omnipollo! APPEARANCE: Pours out thick black and yields a 1+ finger, medium looking, creamy, dark tan head with very good retention. Slowly fades to a full wisp cap. Pitch black body with no real carbonation evident. Splotchy wisp and a ring remain but leave no lacing on the glass. SMELL: Very roasted nose with some burnt malts, burnt coffee, vanilla aromas and sweet cream. Some toffee in there as well. TASTE: Roasted barley, vanilla cream and toffee up front. Roasted flavors at the swallow with a bolder and lingering finish of sweet vanilla cream, espresso coffee flavors, roasted notes, bitterness and some alcohol as well. PALATE: Medium body and lower levels of carbonation. Silky on the palate, goes down fine with a bit of a scratch and finishes sticky. A bit of heat lingers. OVERALL: This is fine but not quite as bold and rich as hoped. To be sure, the imperial stout itself has lots of roasted character and is plenty “stout,” while the vanilla definitely plays a role, but the biggest novelty here, the marshmallow, doesn’t really come out as the star of the show. A quality drink that was fun to try, but not something I’d be too keen on revisiting. Dark chocolate, caramel, and coffee can immediately be picked up by the nose on the get-go. Further inspection reveals fresh vanilla beans, some sort of bark or cinnamon, and something spicy, reminscent of ancho chilis. This almost smells like a drier version of Prairie's Bomb! Pungent vanilla, molten Kraft Jet-Puffed marshmallows, and cacao nibs grace the lips upon the first sip. A more substantial wave of sweetness in the form of caramel, dark fruits, and brownies soon ensue, before being washed away by a smoky bitter sensation, like a really thick cup of espresso. Slight hints of pear and lighter berries surface with the passage of time; the cinnamon / pumpernickel seems to intensify with time as well. Medium to full-bodied, minimal carbonation. I can feel some heat developing from inside of my stomach, which makes sense given the 11% ABV. "Death by vanilla" is the main impression I get with this brew, with the marshmallows merely serving as ineffective speed bumps toward the slow yet inevitable death. I've never tried Tahitian vanilla beans before so I can't testify to their pungency, but if they're anything like what I'm tasting in this beer, I'm assuming it's some powerful stuff. Borefts, see you next year.